More often than not, articles and reviews about the best mountain bikes always include Diamondback Mountain Bikes. This well-loved brand offers a wide range of bicycle models to fit in the needs of different riders. We are pretty sure the question “Are Diamondback Mountain Bikes good buy?” lingers in your mind. Read below to find out! Who Are the Manufacturers of Diamondback Mountain Bikes? Diamondback is a famous bicycle brand whose headquarters is located in Kent, Washington, USA. The Kenesis Industry from China produces their bikes. They started their business by producing BMX bikes. As years passed by, they venture into building different kinds of bicycles including mountain bikes. 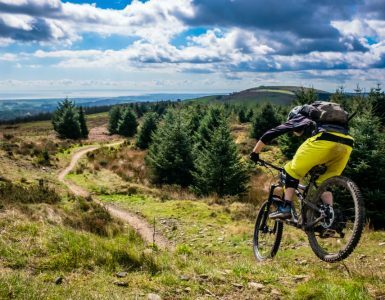 Are Diamondback Mountain Bikes Worth it? Being one of the top brands, they are often on the top list of most bikers and enthusiasts. The products they offer range from low to mid-priced bicycles. However, they also have high-end bicycle models. Despite the affordable price, Diamondback bikes are made from high-quality materials and durable construction. In fact, you can usually find Shimano or SRAM components in their bikes guaranteeing you good overall quality. What Are the Components of Diamondback Mountain Bikes? Diamondback guaranteed to have a balance between the quality and the price of their products. They ensure consumers that the more they spend, the better components they will get. Their mountain bikes are carefully hand-built to ensure the best designs fitted for men and women. Generally, they use Carbon Technology materials, particularly the modulous, monocoque competition road frame, in creating the bikes. They also use extraordinary frame designs including those with sharp angles. For entry-level or beginners’ mountain bikes, Diamondback often uses low-end Shimano components. These parts are known to have good quality for a long time. Some of their entry-level mountain bikes offer an upright position. On the other hand, more advanced mountain bike models use up to Di2 top-notch electrical class. These include SRAM and Shimano components. They are known for their high-quality and durable handlebars, stems, and saddle posts. Some of their race bikes have lower positions for better aerodynamics. Diamondback also uses shocks such as SR Suntour and Rockshox. These are decent picks in creating quality mountain bikes. Are Diamondback Mountain Bikes Good for You? Generally, the bicycles manufactured by Diamondback are considered good based on the positive reviews and high ratings given by previous users and customers. However, it still depends on you and your specific needs. 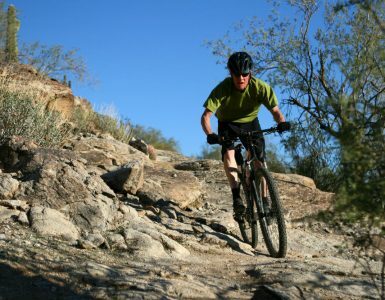 What Are the Different Types of Diamondback Mountain Bikes? Diamondback offers a wide variety of mountain bikes. Below are some of the more popular models that they carry. This entry-level mountain bike gives beginners full suspension which is useful in starting out on trails. It is quite affordable and comes in three models. This is a more advanced mountain bike which is intended for a more serious off-road training and experience. It is available in one model only. This mid-level full suspension mountain bike is a must-have for cycling enthusiasts. It has two models which makes a good upgrade from the basic ones. This is a great mountain bike for aggressive riders who love harder press on the pedal. It comes in three different models. This mountain bike offers a little bit of something. It is an ideal ride for both beginners and those who are in their mid-level cycling journey. This re-entry level and mid-priced mountain bike is the perfect ride for commuters and recreational riders. It is a combination of three similar models put together into one. This mountain bike series is designed to make biking more simplified and enjoyable. It comes in two models which are both perfect for weekend relaxation and hard work out routines. This series of mountain bike is intended for female bikers who commute and take an easy ride to local trails. It comes in three different models. This sturdy-looking fat bike is great for bikers who love extreme rides. 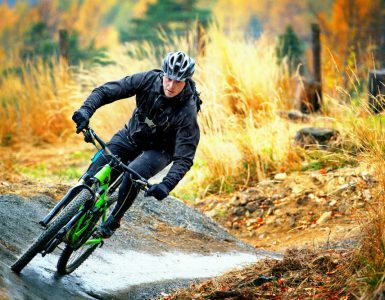 It is recommended for frequent biking even on rocky, sandy, and snowy trails. Are Diamondback Mountain Bikes Easy to Assemble? Assembling the mountain bike has always been an understandable concern for most users. You can go to the nearest bike shop for assistance. However, you can also try assembling your mountain bike on your own. Assembling you Diamondback mountain bike is easy as long as you follow the steps given on the user’s manual. Basically, you just need to attach the saddle, handlebar, and the wheels. Then adjust the gears. The adjustment may be a bit difficult, so it takes time and practice to perfect the process. Does Diamondback Offers Warranty and Maintenance Services? Yes, they have an amazing warranty system! Diamondback offers a lifetime warranty on the frames and a 5-year warranty on the full-suspension mountain bikes. Another thing that makes them special is that they do not link you up with any bike shop when it comes to maintenance. Diamondback has always been a runner ever since it started manufacturing mountain bikes and other types of bikes. They really know what they are doing, thus producing products that can really compete with other mountain bike brands. Are Diamondback mountain bikes good buy? Definitely! They are made from superior-quality materials that promote better functionally, more durability, and ease of use. Their frames, saddle, handlebar, and wheel components are supplied by only the top suppliers in the industry. With Diamondback innovative and continuous developments, more and more products are being produced to fit in the needs of bikers. 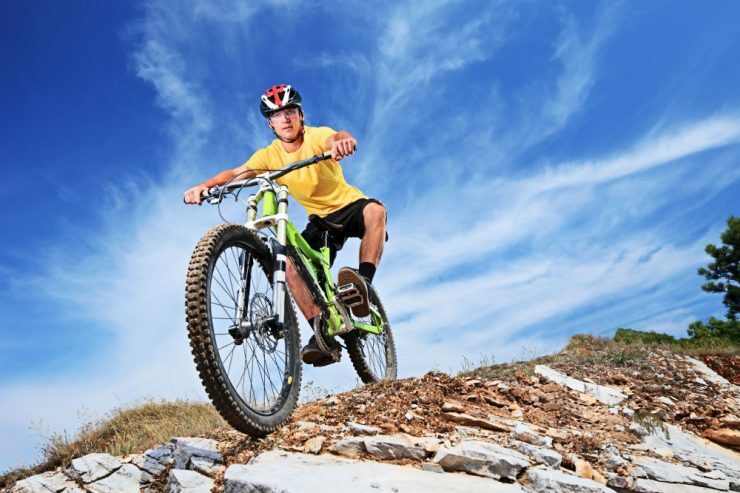 Their mountain bikes come in various models to ensure only the best to its users. You can choose from a wide variety of their full suspension, hardtail, and fat bikes. Lastly, their mountain bikes are easy to assemble and maintain. Warranty features and services are also offered to give their customers the best service possible. Truly, Diamondback offers decent and reliable mountain bike that is worth every penny.